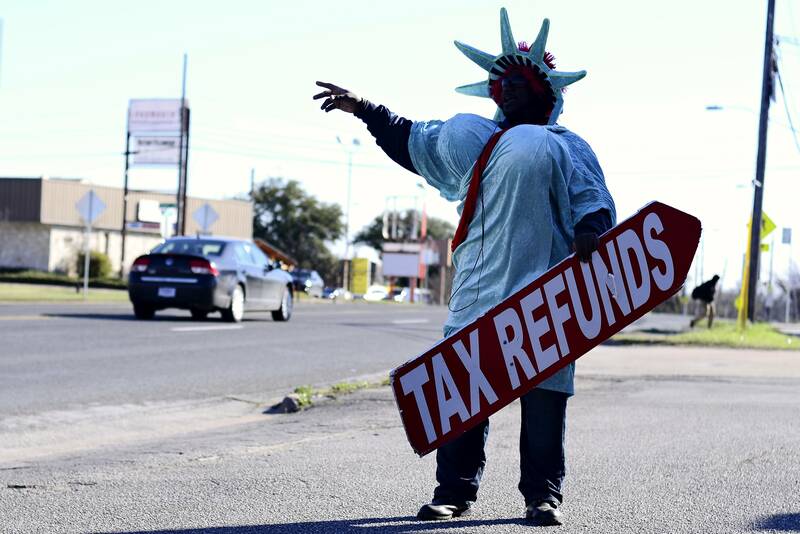 Roderick Landrum advertises tax refunds at the intersection of Airport Boulevard and 53rd Street on Thursday afternoon. Despite the cumbersome costume, Landrum performs his job enthusiastically. 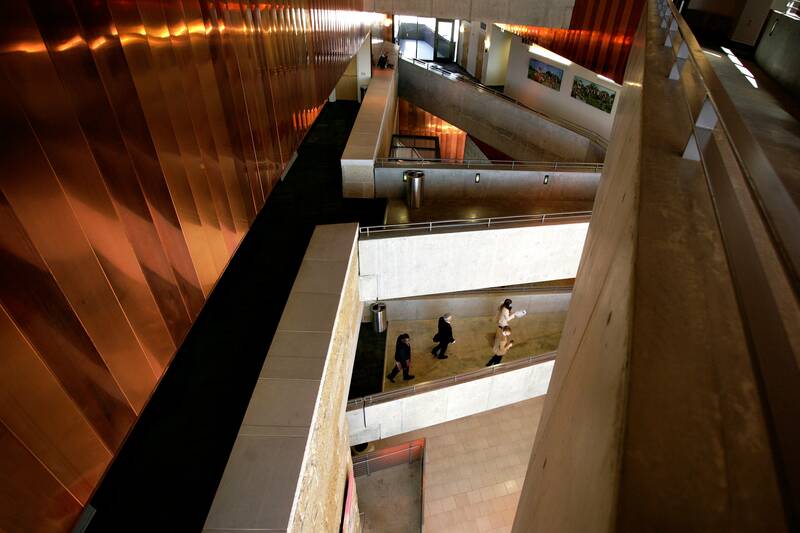 People walk through City Hall Thursday afternoon.